Whenever my children want Chinese soup, they go to the Soup Restaurant 三盅兩件 @ Paragon. 1991 was the first time I ate at Soup Restaurant located in Smith Street. Valerie was a toddler then and I did not cook much. Drinking double-boiled soup is a big part of my family culture. My mom is insistent of having soup daily which we would consume a couple of hours before dinner. The secret of a nutritious Chinese soup lies in the broth which takes hours (from 2 to 8 hours, sometimes longer). Since young working adults do not have the luxury of time to double-boil soup at home, Soup Restaurant became popular rather quickly with this consumer group. It is now a listed company. This is not the olive rice that you get from a Thai eatery. The savoury taste of this rice would be rather unique to those who have not eaten the bottled preserved olive vegetables that we usually partake in a home-style Teochew porridge meal. Another variation served here is topped with Salted Fish which they only serve 30 portions a day because of the arduous work (hand chopped) but my children go for the Salted Egg Yolk most of the time. This portion was not enough to satiate them so I think we’ll need two orders next visit. The patty was thouroughly cooked but still retained a juicy moist texture when eaten. The yolk was overdone probably because it was steamed together with the pork from the beginning but I’d prefer pork dishes to be well-done than undercooked. My personal preference is for the patty to have a little more fats and be more loosely formed. Very tender even for the breast meat (which tends to be stringy). My children loved that the poached chicken is boneless. Best eaten wrapped with the crisp lettuce served on the side and a dollop of the ginger mince. 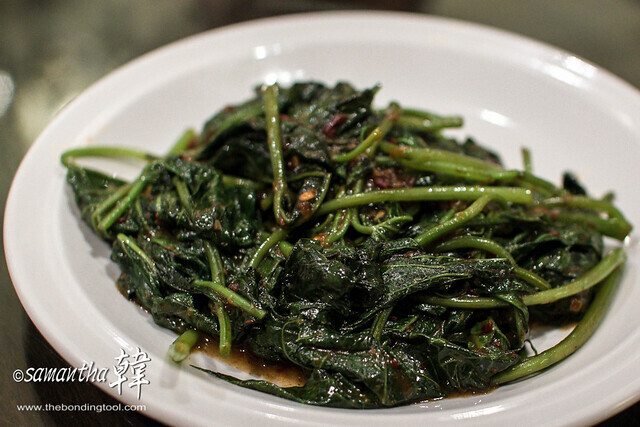 Fan Shu is sweet potato so this is sweet potato leaves stir-fried with sambal. I found this to be overdone, too wilted for my liking and thus not a must have on my list. 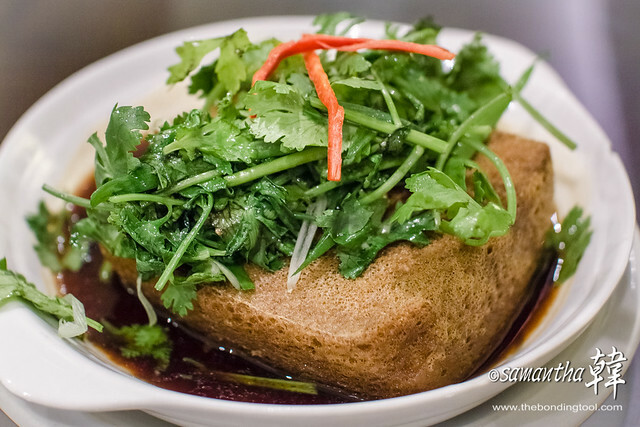 A very zen dish – simple and “clean” tasting packed with silky smooth soy protein. If you love eating fish, you would agree that the belly is usually the tastiest part of the fish – just like otoro is the best when consuming sashimi. 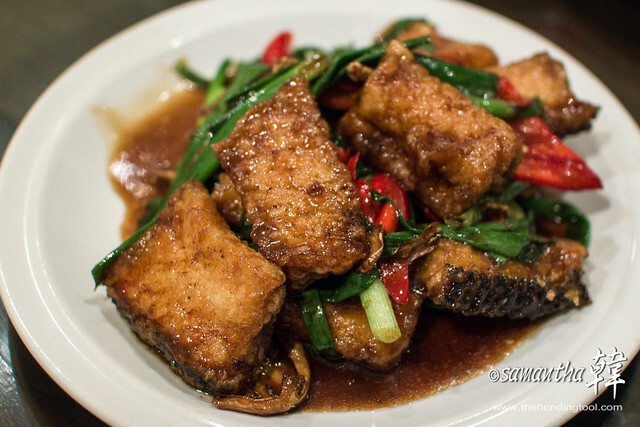 Deep-fried till the fish turned golden and crisp, the awesome flavours were thoroughly absorbed into the meaty pieces during quick stir-frying, the second cooking process in preparing this dish. 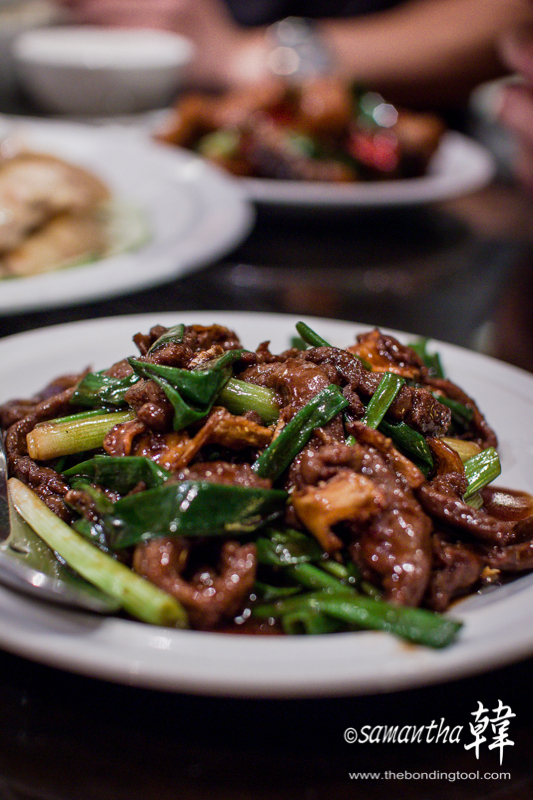 Tender slivers with slight gamey-ness, the intrinsic flavour that distinguished it from beef. I liked that they served this dish with plenty of scallions and ginger. Ah Por (Granny) Ginger Fried Rice. Fragrant ginger aroma without strong heat from the root infused into the fluffy Jasmine grains. 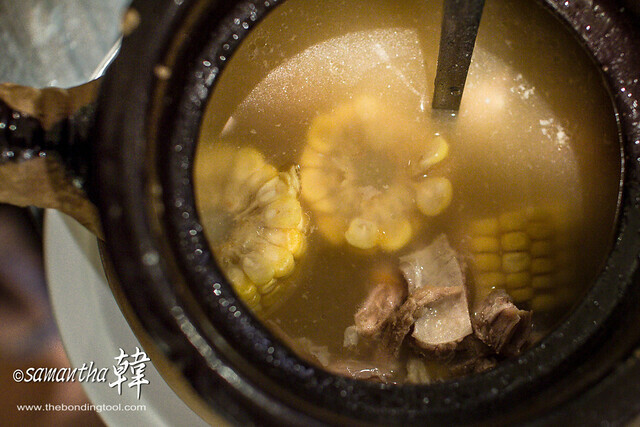 Sweet Corn and Pork Rib Soup. 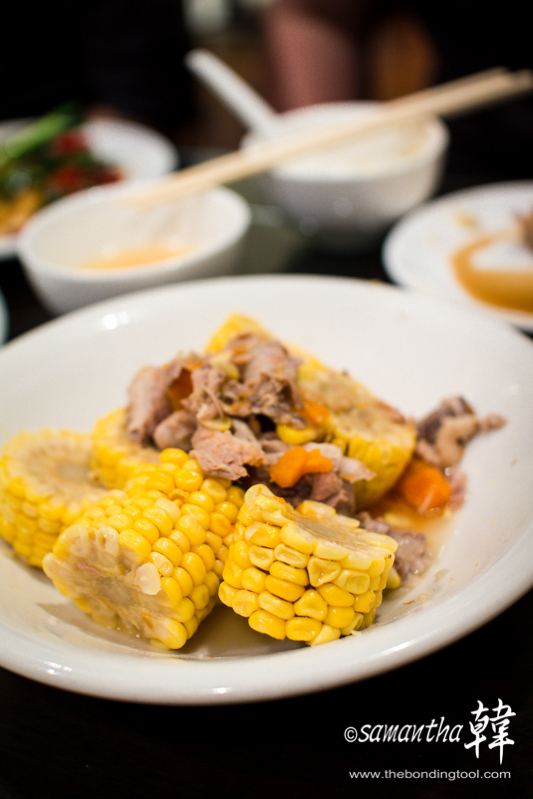 The soup was not watered down, full of natural sweetness from the main ingredients like pork ribs, sweetcorn and carrots. The ingredients in the soup, which if one so desires, may be eaten with some light soy dipping sauce. 開飯喇! 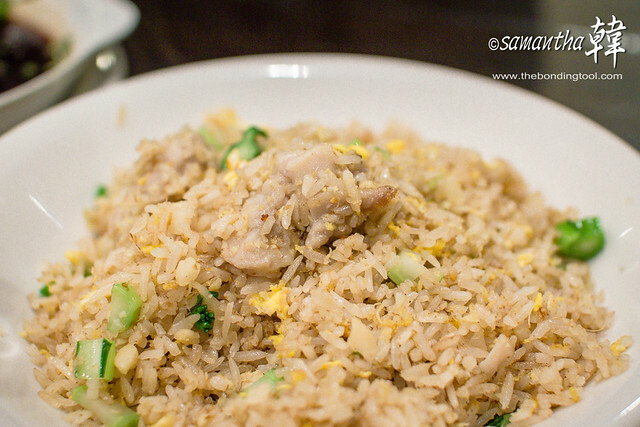 Hoi fan lo is Cantonese for “open rice” which means let’s eat! Soup Restaurant @ Paragon is always crowded on weekends and knock on wood, we’ve always had reasonably good service no matter how busy they get. I didn’t even know we had 3 rice till I saw the bill. The Chrysanthemum tea is refillable. 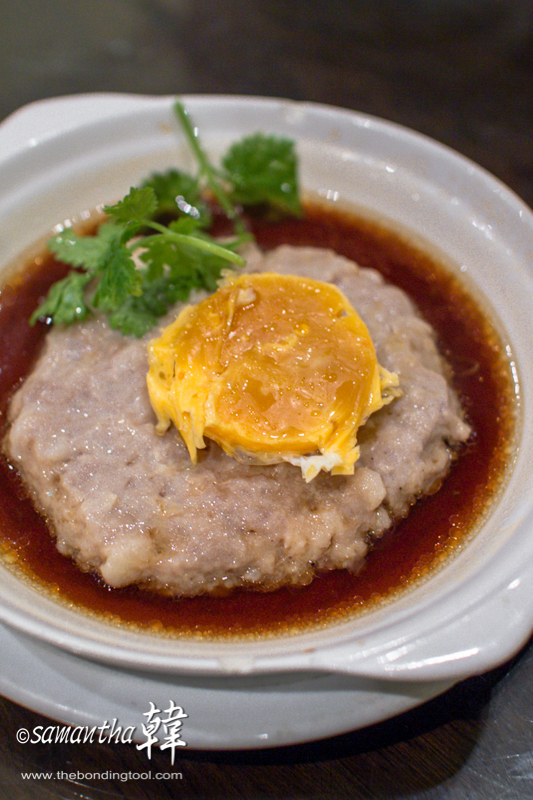 You have seen some of our favourite dishes from my previous post (see link below) – the Hometown Tofu and Steamed Hand Chopped Pork Patty with Salted Egg Yolk are a couple. 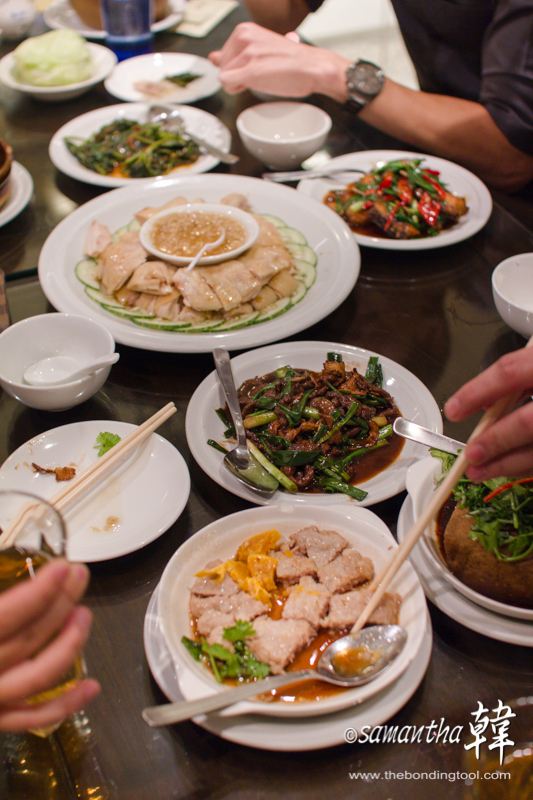 Needless to say, a trip to Soup Restaurant would not be complete without eating their signature tender Samsui Chicken! These are must-order dishes with my children. Naturally, having good soup is primarily the purpose of our visit. 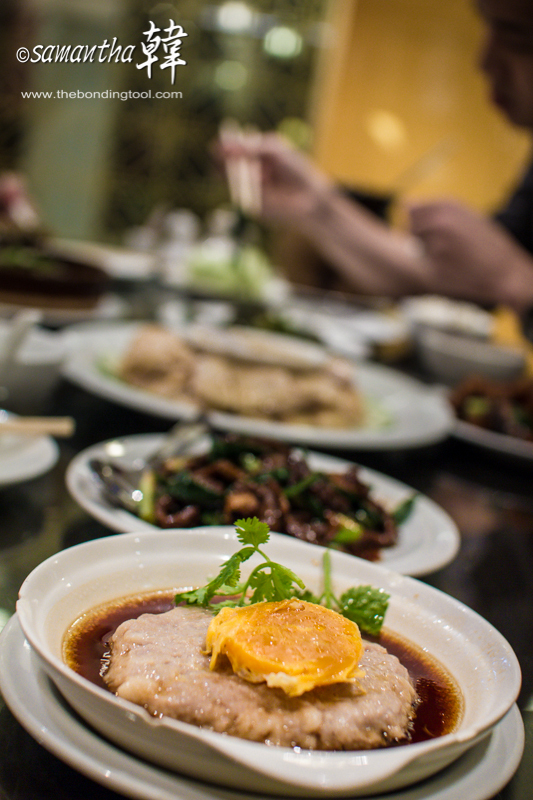 We loved our soups here and as assured by the staff, the rich flavoured full-bodied broth is not enhanced by msg. The friendly and efficient staff is another reason why we like to eat at the Paragon branch. Ryan had accidentally knocked over the soy sauce and it spilled onto the table and floor. We informed a waitress as she walked past (with food, on her way to serve another table) and she instinctively got him some wet tissues to clean himself first, then asked another waiter to replace the soy sauce at our table. She came back later to wipe the soiled table and floor. All these done without giving us a dirty look, lol… I highlighted this incident because I have been to fine restaurants where staff sighed loudly in front of guests over mishaps and their faces registered such unhappiness all mood for a nice meal vanished. The look they gave was as if the person did it with the intention to make their lives miserable. Besides good products, quality staff is an asset to any company, don’t you agree? You bet we’ll be going back to Soup Restaurant again. 11.30am – 10pm (Last Order: 9.30pm). To read the story of Samsui Women in my other Soup Restaurant post, click here. Click here to see what is bottled Olive Vegetables (橄欖菜 – second row 4th column). ← The First Man I Love Turned 80! Yum ! It’;s amazing you’re still so slim, Sam Han ! ! Doesn’t everyone spill their soy sauce? Thanks for the tip. This looks good. 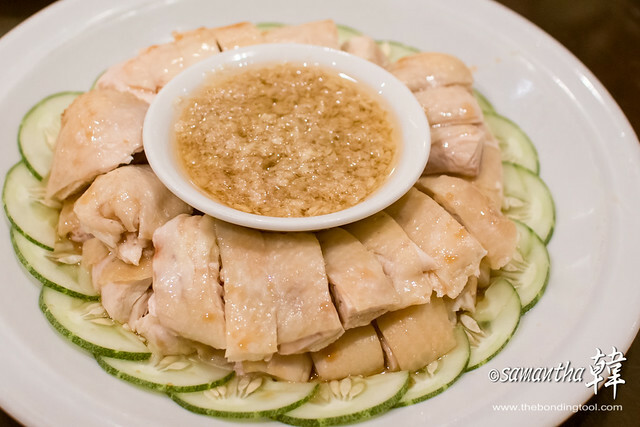 The samsui chicken with ginger is my favourite! Love them. 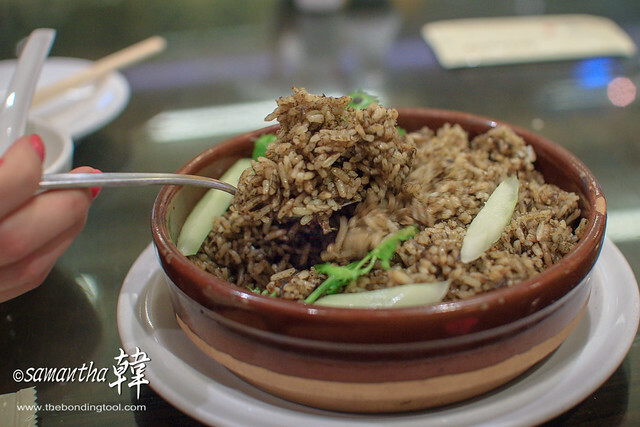 The Teochew olive rice is something new that I have never tried. Looking forward to try them in the near future. Any time my friend! Do you know that you can have a loyalty discount card by subscribing to their shares? Didn’t know that. No money to buy shares. Lol.